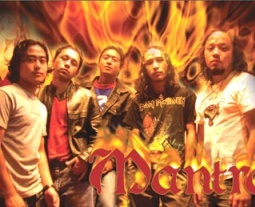 Mantra is a well-known Indo-Nepalese rock and roll band from Darjeeling, India. Formed in 2000, the band has produced many popular songs. Bir Gorkhali, Ekantama and Sanskriti,timi bina are some of them. Bir Gorkhali, a song which first appeared in their debut album (Mantra) had also been featured by Prashant Tamang (the winner of Indian idol season 3), in his solo album 'Dhanyabad'. The current band members are: Bhasker Dewan (Lead vocalist), Pragya Lama (lead guitar), Birju Chowdhary (Drums), Manish Thapa (keyboard), Bidhan (Flute and saxophone) and Pravash Subba (bass guitar) . The band’s regular song writer (Lyricist) is Sudarshan Tamang. Bishal Thapa is the former drummer and one of the founder members of the band.